Change the way you watch your favorite sports teams by upgrading to the big-screen experience. Match a high-resolution Epson projector with a versatile screen from Screen Innovations to get dynamic, larger-than-life images that let you take in every little detail. No more straining to read the names on the back of jerseys or needing to rewind ten times to see if the ball crossed the goal line. You'll get a better view of the action from your home theater system than the players standing on the sidelines. 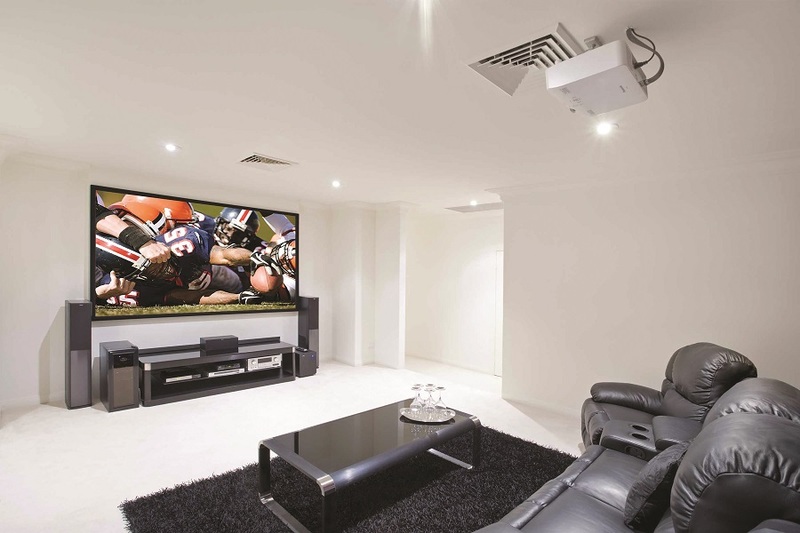 A growing trend for home theater systems is multi-screen installations. You can have a TV that hides under your screen, invest in a projector with split-screen capabilities, or install a video wall. This type of installation is especially popular with sports fans. Throughout the fall, there are always multiple football games going on simultaneously on Saturdays and Sundays. Why not watch them all in a theater that displays multiple screens? Profocus Home Entertainment also makes it easy for you to manage your theater. With a smart control solution from ProControl, it's easy to adjust the channel and volume from a remote, touchpad or smart device. Easily swap out which game is on the big screen if you see that a drive has entered the red zone or a game is in the bottom of the ninth. We know things can get a little heated when a close game goes into the final minutes, so you can also adjust the climate from your ProControl remote to stay cool. One of the best things about watching games live in the stadium is the crowd environment. It’s hard to recreate the camaraderie of being surrounded by fellow fans all chanting in support of your favorite team. You can get pretty close with a Klipsch surround sound system that makes you feel like you’re in the middle of the action. Get crisp, powerful sound coming at you from all sides so you can hear every detail on the field and in the stands. Enjoy your favorite sports teams like never before with a private theater that puts you in the middle of the action. Contact Profocus Home Entertainment to set up a consultation!